From best-selling author Michael Grant, comes the highly anticipated, terrifying, and mind-bending second book in the BZRK trilogy. 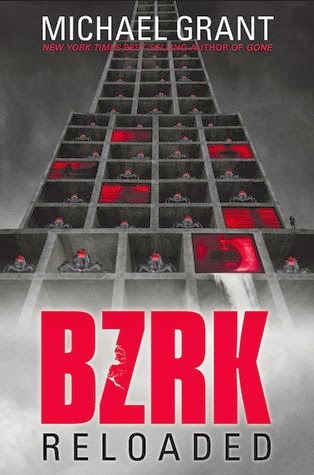 The entire BZRK cell--including Noah and Sadie--has been left in pieces after the last round of battle with the Armstrong Twins, conjoined brother who plot to rob mankind of its free will. Vincent's mind is shattered, and his memories hold dangerous secrets--secrets that Lear, BZRK's mysterious leader, will stop at nothing to protect. Meanwhile, Bug Man has taken control of the President's brain, but playing with sanity is a dangerous game. The consequences can spiral way out of control, and the Armstrong Twins are not people Bug Man can afford to disappoint. The nano is as terrifying, exhilarating, and unpredictable as ever. But the wall of secrets that surrounds it is cracking. What will it reveal? And once the dust has settled, who will be sane enough to find out? I was born in a manger and grew up in a log cabin where I read law books by firelight. . . Oh, wait, that wasn't me, that was someones else. I had a hard childhood. Hard for my parents. Not that bad for me. I was an Army brat, moved around a lot. Then I didn't settle down. I just kept moving. Why? What inner turmoil drove me? Mmmm, I gotta say none. I just have a short attention span. Easily bored. I'm living in Tiburon, CA right now. How much longer? Don't know. I've written 150 books. That's right, I said 150. In your face, Stephen King. Granted, mine are shorter than his. And less popular. And less likely to be made into a major motion picture. And I guess i don't play in a band with Dave Barry, either, do I? Most of those books -- and by "most" I mean 149 out of 150 -- I wrote with my wife, the lovely, the talented, the eternally hot, Katherine (K.A.) Applegate. We've been together for 29 years. Which is a long time. Looooong time. Sweet lord what a long . . . No babe, I'm not implying anything. Damn internets: you never know who's reading things. You know, it sounds pretty out there. I like that. Thanks. "rob mankind of its free will"